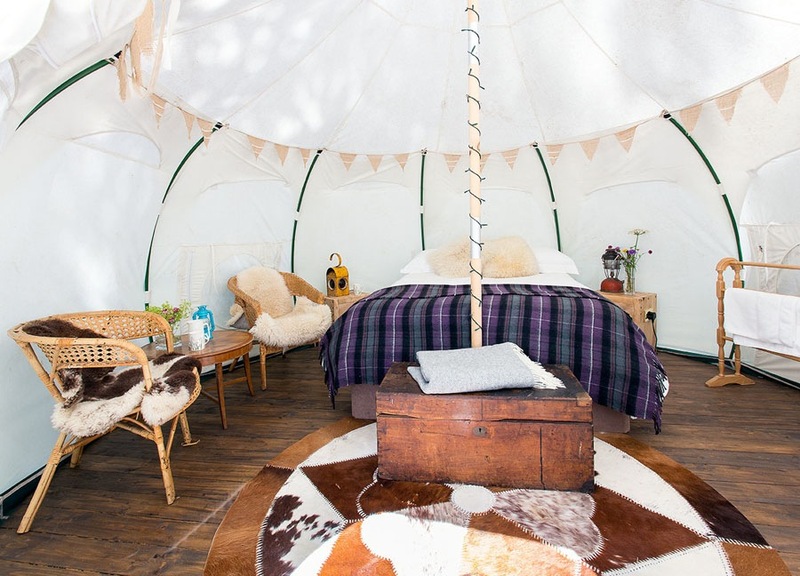 If you love the outdoors and fancy something different, why not book a stay in the Snowdrop tents at Cambo House. Set in picturesque clearings in the woodland on the sea walk behind the mansionhouse, each tent is furnished with a sumptuous double bed, armchairs, coffee table and equipment to make tea and coffee! At night they can be atmospherically lit with fairy lights, tealight tilly lamps and up-cycled oil lamps converted to electric. If glamping’s just a step too far, the Cambo team are currently renovating a boat on the Estate which will be available for bookings from June! 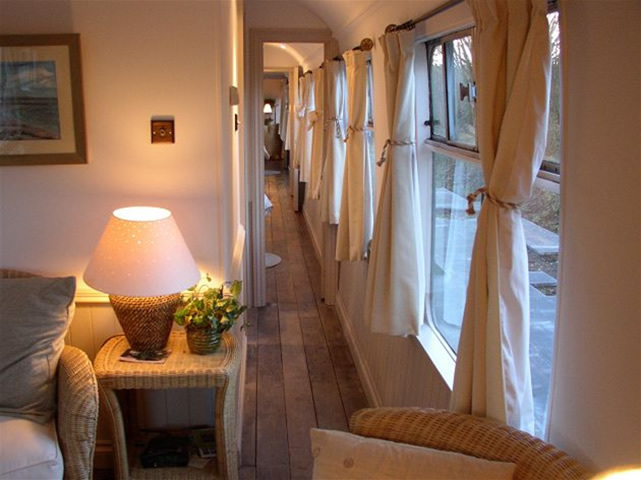 If a snowdrop tent or a boat doesn’t take your fancy, then maybe a railway carriage does? Offering a unique experience for visitors, the Old Station near St Andrews is a converted railway carriage with two luxury suites. The deluxe suites are furnished in colonial style and set within the two-acre garden. In addition, the boutique guest house, set within 2 acres, offers six themed rooms including African, Scottish, Oriental and Garden. Certainly different! Fernie Castle's Treehouse Suite is exactly what it claims to be. This magical, elf-like abode is nestled snugly within the trees offering a fairytale getaway, with beautiful views of the surrounding countryside. Complete with twinkling fairy lights and a swing, the 'ever-after' theme is continued inside with specially designed fableesque wooden furniture and a vast elm bed. The decor in this retreat is suitably mythical too with each octagonal shaped room boasting artistic friezes on the walls. 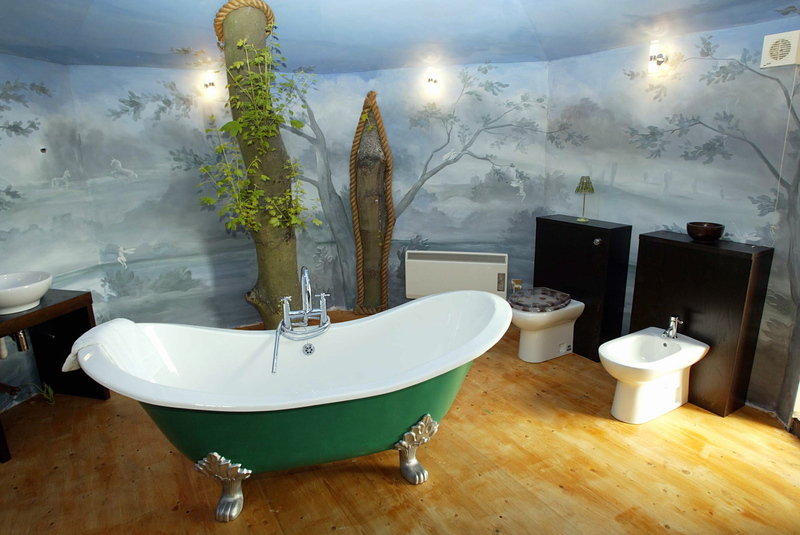 The bathroom being the most striking of these, painted twilight blue with unicorns, fairies and a starry ceiling. Balmule House has roots and features that stretch back over 500 years yet has a dramatically transformed interior, designed and crafted with every modern convenience. 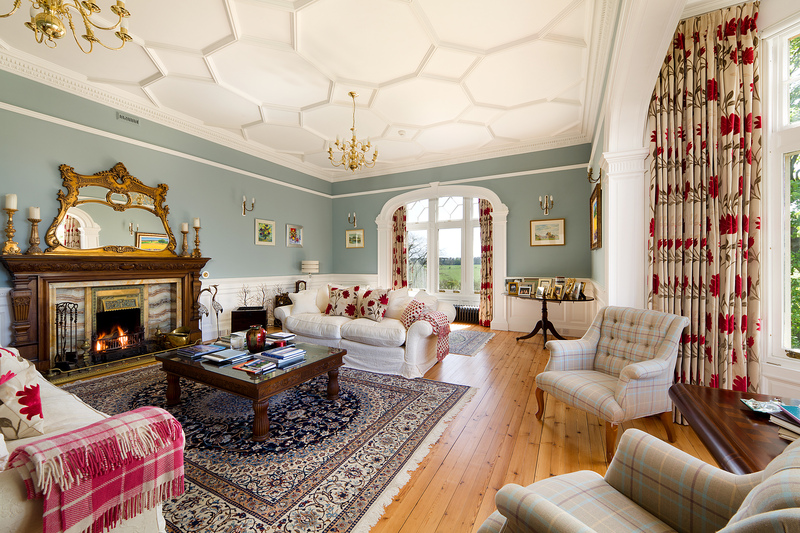 Set amidst 30 acres of wooded grounds just north of Dunfermline, the ancient Capital of Scotland, Balmule House offers luxury accommodation in opulent surroundings. With several stunning reception rooms, beautiful formal gardens and picturesque views in all directions, it’s a perfect weekend getaway. 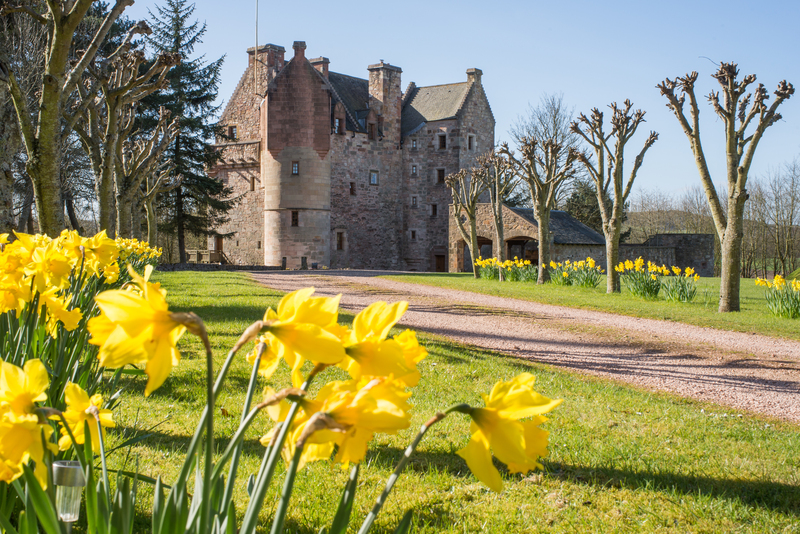 If you’re looking for a unique self-catering property, then Dairsie Castle is the ideal setting for a family holiday. Set in 9 acres of grounds, the castle became a ruin in the 19th Century, but was bought and rebuilt as a family home in 1992 by the current owner who has restored the castle to its original medieval character. The interior is infused with interesting artworks and sculptures which tells the story behind the castle. The 6 bedrooms all have a character of their own and the large Great Hall, complete with a medieval-sized fire place, is fit for any feast! On the top floor there’s an open Gallery space lined with paintings and antiques, which is perfect for hosting receptions and parties. Or if you just want to relax, there’s a cosy carpeted living room with TV and comfy armchairs. 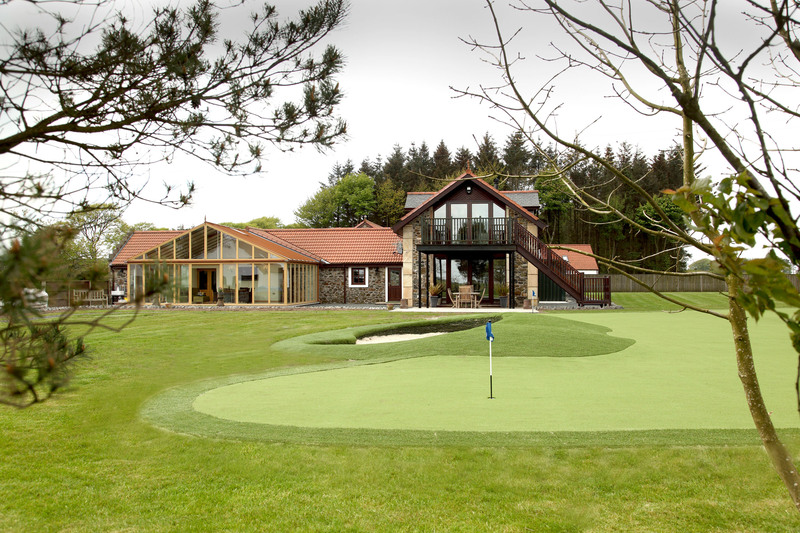 An epitome of grand Victorian design, Eden Mansion Hotel overlooks the Eden Estuary towards the Royal and Ancient Golf Club of St Andrews boasting a location and exclusivity like no other. Down the centuries this five star hotel has played host to some notable historical figures and in more recent times, movie and sports celebrities have been among its discerning guests. Built as the principle house for the Haig family, Scotland's oldest whisky distillers, this is indeed a very special place to stay. The minute you step into Hawkswood House you know you're somewhere special. Sleeping up to ten people, the owners have taken care to create a sense of privacy, so even when sharing the house with a group of friends you'll always have your own relaxing space to enjoy. Finished to the highest quality, each of the five bedrooms has a luxurious en-suite and there’s every mod con you can think of. The Roundel is the latest exciting, luxury development at Hawkswood offering a similarly sumptuous and intimate experience. The heart of this fabulous property, which gives it its name, is the magnificent round room which houses a lounge and dining area. To top it off there are amazing views of beautiful Fife countryside. For large groups of up to 20, there’s an opportunity to book both properties and The Roundel can comfortably accommodates 20 guests for dining together. Perfect for that special occasion. Cardy Net House is a stunning modern seaside holiday home, set within a beautiful secluded private garden overlooking the sea. Sleeping 12 it’s perfect for a group getaway or special family gathering! The house has a large central living space with an open fire and grand piano, three double rooms, three twin rooms, five bathrooms and a cloakroom. To view images, visit the Cardy House gallery.